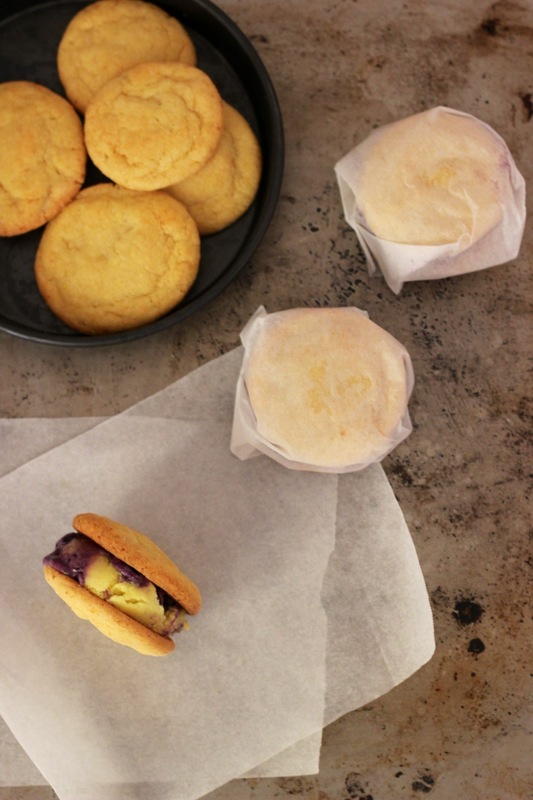 After last weeks post about the Corn and Blueberry Swirl Ice Cream Sandwiches, below is the recipe for the corn cookies I used to make the ice cream sandwiches. As much as I try to cook and bake using wholesome ingredients, using as little sugar as I can get away with in terms of taste and texture (and substituting white sugar with less refined sweeteners where possible), I freely admit that I love the sugar-laden and tooth-achingly sweet goodness of Christine Tosi’s creations. While I have yet to try her creations in New York, I have sampled her whole range of cookies and cake truffles thanks to my incredibly generous friend Millen who brought back an entire box of goodies from a trip to New York. I posted about the Blueberry and Cream Cookies before, one of my favourites (a decade of school-trips accompanied by a 1kg bag of trail-mix courtesy of my well-meaning grandmother have founded a deep love of dried fruit in my case and an absolute abhorrence of most dried fruit, in particular raisins, in the case of my sister Helena – you cannot win them all I guess) – the milk crumble alone is genius. 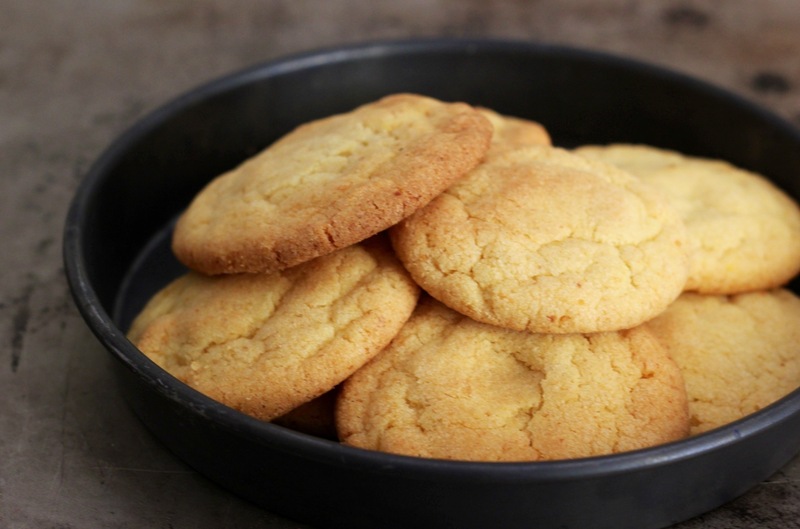 Made mainly from toasted milk powder and white chocolate it adds a delicious creaminess to the cookies and would not be amiss as part of, say, a modern interpretation of Eton Mess. 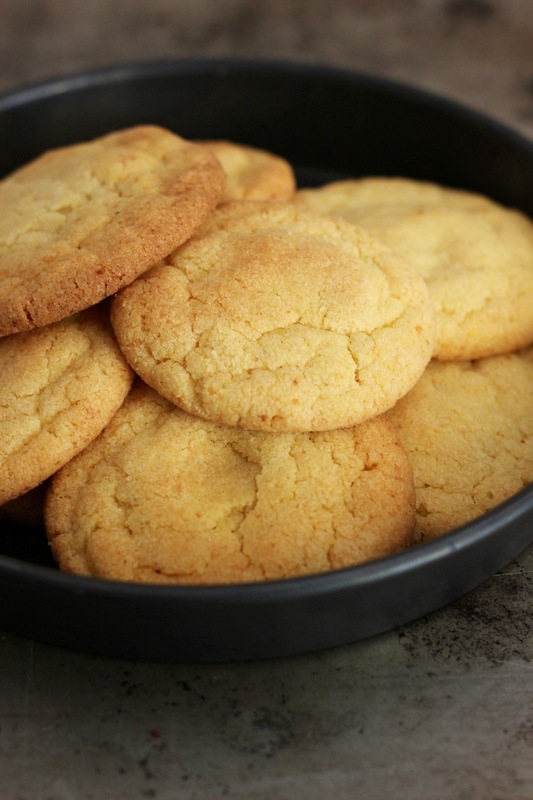 Back to the Corn Cookies though – after I decided to make the corn ice cream, it only made sense to have a go at the Momofuku Milkbar Corn Cookies as well, especially since they had been on my list of things to bake for at least a year. The recipe calls for freeze-dried corn which is not exactly an item most supermarkets stock (although it can be bought online) and the cookies by themselves have a distinct (and delicious I must add) corn flavour. However, once turned into ice cream sandwiches and frozen, the flavour is definitely on the subtle side (partly, I presume, as the corn flavour of the ice cream is pretty strong). So, if you only want to make these cookies to make the ice cream sandwiches I am inclined to say leave the freeze-dried corn out and just increase the amount of polenta accordingly (to stay with the corn theme and add some additional crunch to the cookies). Before I leave you with the recipe, I should quickly mention that, after fighting the Roman heat (which in the past week reached truly unbearable levels – think 45 degrees and high humidity), the day of our departure for our vacation has finally arrived. Today, Alessandro and I, together with a group of friends, are off on a two week trip to Bali, the Gili islands off the coast of Lombok and Singapore. It feels strange to go on summer holiday to a place that is colder than where I currently am but I am hoping that temperatures in the low 30s will be somewhat easier to deal with while still being hot enough for plenty of days by the pool or at the beach. I will try and pop in a couple of times while I am away and I will be back to normal posting at the beginning of September. 1. Start by creaming the butter and sugar together in a bowl using a handheld mixer. Once the two are mixed together, add the egg, increase the speed to high and beat for 10 minutes until the mixture is light in colour and has a fluffy texture. 2. In a separate bowl whisk together the flour, freeze-dried corn powder (if using), the polenta, baking powder and salt. 3. Reduce the mixer speed to low and add the flour mix in one go, mixing just until all the flour has been absorbed and the dough comes together. 4. Using an ice cream scoop, place single scoops of dough on a baking tray lined with grease-proof paper (make sure you leave ample space between the cookies as they will spread in the oven). Wrap tray with clingfilm and place in the fridge for at least 1 hour. 5. Pre-heat the oven to 175 degrees and bake the cookies for 10-12 minutes until the edges are golden but the centre remains a little undercooked. 6. As the cookies will be very soft fresh out of the oven, leave to cool for 5-10 minutes on the tray before placing them on a cooling rack. Once the cookies have reached room temperature, place them in a sealed container where they will keep at least for half a week.